Marine grade aluminum plates are used in marine vessels and other fields, so they have more stringent process requirements and performance standards than other common aluminum alloy products. 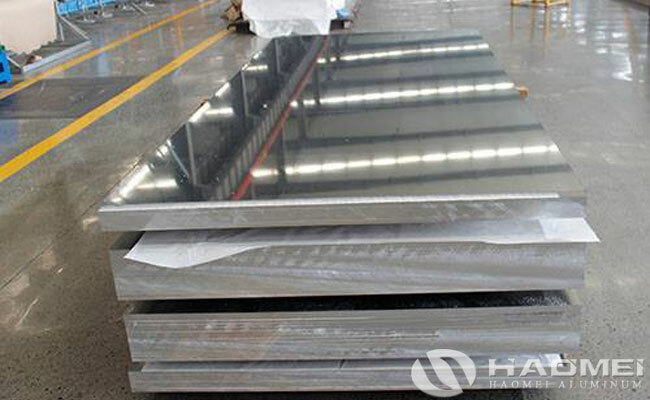 The selection of marine aluminum plates is more stringent. At present, the aluminum alloy such as 5083, 5086, 5454, 5754 and 6061 aluminum are used as marine grade aluminum. Among them, 5083 and 5086 stands out because of its wide application and good performance. In practical applications, the advantages of marine grade aluminum alloys are very obvious. The first is the small specific gravity, the light weight of marine grade aluminum sheet can reduce the whole weight of the ship, save the fuel energy and increase the ship load; secondly, marine grade aluminum plate has good corrosion resistance, which can reduce the cost of oiling and extends the service life; thirdly, marine grade aluminum has good welding and processing performance, which is good for post-processing; at last, the waste material is easy to be recycled, it does not burn and is safe to fire at the same time. For ships as vehicles, speed improvement is one of the main technical indicators for their improvement and development. At present, the most effective way to increase the speed is to reduce the weight of the ship and to reduce the water resistance. The organic combination of these two methods makes marine grade aluminum plate alloy developing rapidly in the ship industry.